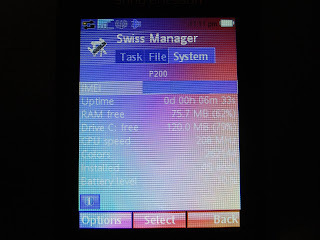 Here are tons and tons of pics of the Sony Ericsson Paris by gliatiotis over at mobile-review. Here are his comments on the phone. 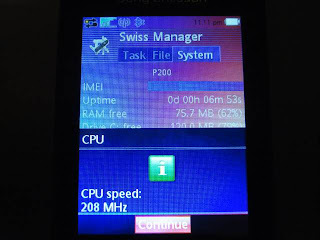 Apart from booting up and some power-hungry applications that can't be optimized any further , in menu navigation and executing most common tasks , the phone feels and probably is a little faster than P1/w960 generation and even slightly faster than the G700/G900 one . When i first tokk it in my hands , it gave the impression of a new/faster phone and it was only after running some "heavier" tasks like the browser that i realized it's the same old platform . I am still discovering some of them , since the phone came with no real description of it's characteristics and almost "no name"
The phone is at the pre-production level , with most of it's feauters already ready , and some of the customization needed for each market . All the phones that i have seen in the past at the same level , never changed in features by their release date . I am unable to understand why this device is so much hyped ?